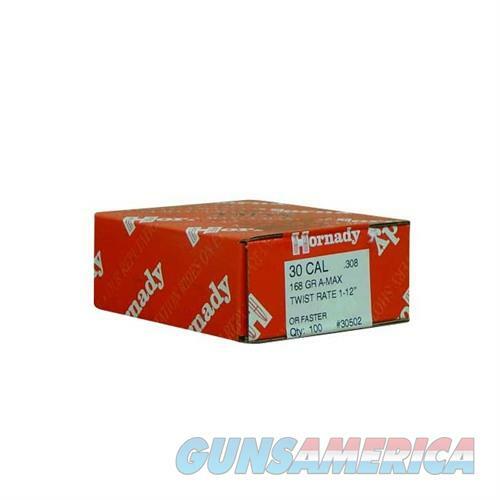 Description: Hornady 30502 30 Caliber (0.308") 168gr A-Max 100/Box Hornady A-MAX bullets are manfucatured using Horndady's Advanced Manufacturing Process (AMP). This allows for the best ballistic coefficient possible. The Secant Ogive Profile delivers low drag and flat trajectories. Swaged lead core provides uniformity and consistency. These BTHP bullets allow for unmatched accuracy at long distances.